As I type this it’s exactly one week from the Boston Marathon. I’ve had a lot of thoughts in the past few weeks. A lot of those thoughts have been about my overall health. I’m still suffering from a bit of pain in my right foot from when I banged it against a rock on a run back on Valentine’s Day. It’s been a bit of a niggling pain, and I’m sure it’ll go away in due time, but because the pain is there, I’m not at 100%. Couple that with getting bit in the back of the right calf yesterday by a dog on the trail, and now I have some tenderness there. 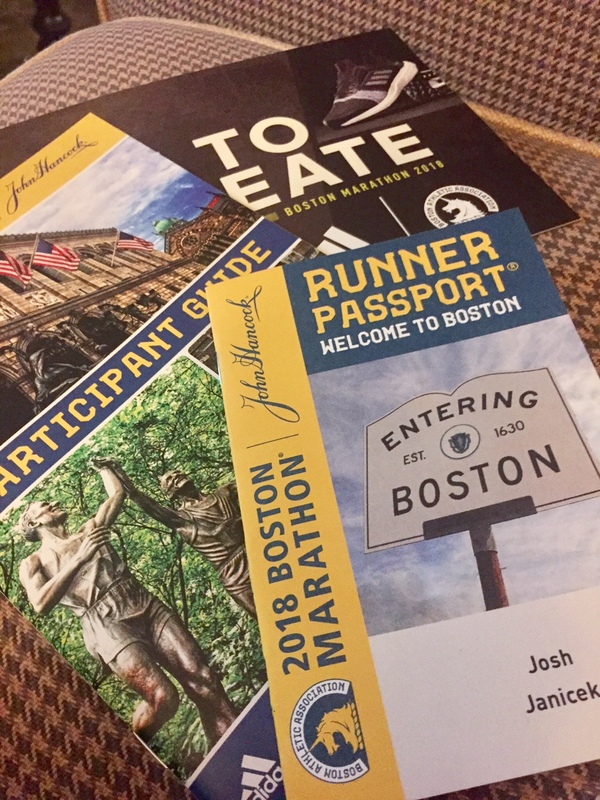 Boston is not only the Holy Grail of marathons, but for us, it’s also going to be a family trip. Elise, Maly and Mara are coming with me, as are my sisters, Terri & Lisa, and my bros-in-law, Craig & Ron. There’s the logistic of getting our family there, the accommodations, the travel, the tours and site seeing, the eating, and, unfortunately, the weather. It’s still winter-like in Boston while the beautiful spring is in full-force here in Austin. I know Elise is stressed with the logistic part, which then makes me stressed. And next Monday, I’m going to have to get up early, I’ll probably wake at 4ish a.m. to start getting ready. I know I’ll have to eat something, have some coffee, do some pre-race biological stuff (you don’t want to have to do that stuff mid-race), and then figure out how to get to the bus that’s toting me to the start line in Hopkington. Our AirBnB is 2.7 miles from where the bus leaves at MIT, so I’m debating on if I Uber it or walk. Will I even be able to get an Uber when 30,000 other people are probably hailing Ubers at the same time. Or, if I decide to go on a 6 a.m. stroll along the Charles River, will I be exerting too much energy before running 26 miles? I’m sure the nerves of having the opportunity to run Boston are going to burn a lot of much-needed calories, as will shivering from the cold. My bus leaves at 7:15 sharp. My wave doesn’t start until 10 a.m. There’s just so much hubbub, and it’s stressful to me. I guess this is just an exercise and finding balance among the stresses and the end game of actually getting to run in the Boston Marathon. People keep asking me, “what all are you guys going to do while in Boston? !” Invariably I just tell them that I’m showing up to run the marathon. I guess I just need to keep mindful of that. That and just throw my hands up, look up to the sky and embrace whatever comes. I think that’s it. I think that’s what I’ll do. Take it all in stride, enjoy the ride, revel in the run, the trip, the new town, the experience, and the time with family.